Often overlooked, lighthouse stays are some of the most unique holidays the British Isles have to offer. 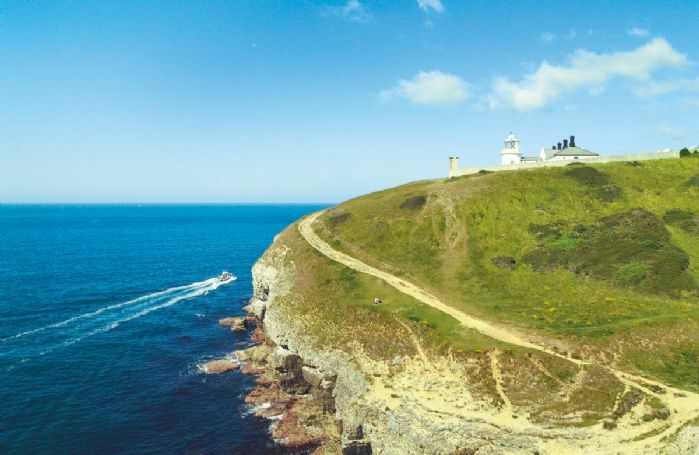 At Rural Retreats we have 32 of the UK’s finest lighthouse keeper’s cottages, located on some of the UK’s most stunning coastlines, from Whitby to the West Country. If you have yet to stay in a lighthouse, you should prepare yourself for something truly special. Located far from the madding crowd, they are the perfect place to escape from the hustle and bustle of modern life. Relax and spend some quality time in beautifully appointed surroundings without missing out on any of the local attractions or activities on offer. Each sleeping between two and eight people, our self-catering lighthouse holiday cottages all have bright modern interiors and are fitted with luxury bathrooms, kitchens and dining rooms. If you want to enjoy your lighthouse stay with the whole family, that’s great! Many of our lighthouses welcome children and pets and all have beautiful outdoor areas so that everyone has enough space to play in. 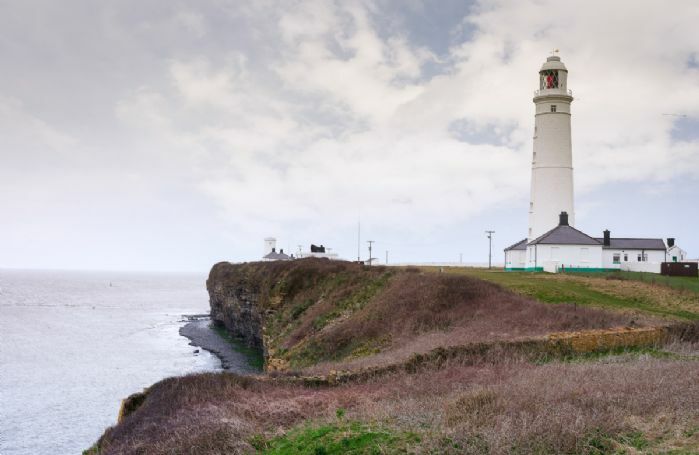 The history of lighthouse keeping in the UK stretches back for more than a thousand years, right back to Romans and their need to protect their shipping. 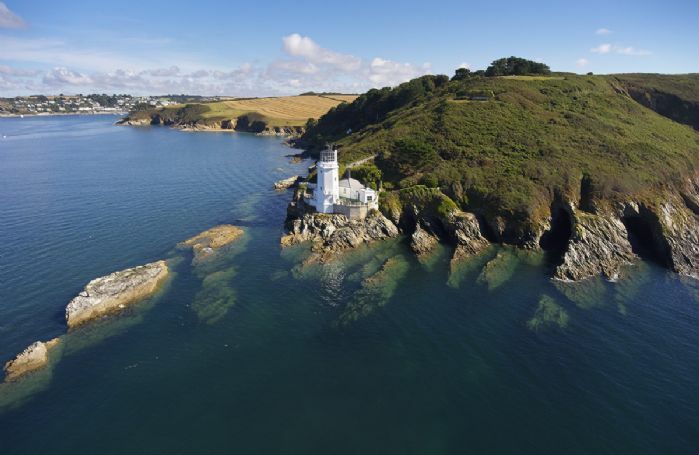 Don’t worry, you won’t be staying on the set of Time Team but many of our lighthouses are still fully functional, and are steeped in a rich heritage you can learn about and indulge in during your lighthouse stay. Take a guided tour, find out how they work, what they service and how long they’ve been and discover a piece of history that has helped to shape the British Isles. 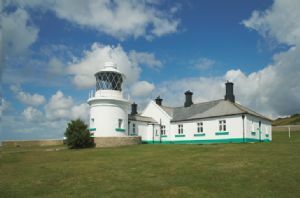 If history isn’t your thing then there’s still so much on offer with a lighthouse holiday. Bask in some of the most epic shorelines the UK has to offer from the best vantage point for miles around while staying in wonderfully appointed accommodation with everything you need to spend an unforgettable holiday with your nearest and dearest. The most beautiful, peaceful and breathtaking place I've ever stayed. The pictures don't do it justice! Saw Sammy every day and watched the sun set every night. The kitchen has been really nicely renovated since the pictures. Was a dream to do the washing up watching the ship's sail by. Expérience inoubliable! le cottage est très spacieux et confortable. Le wifi fonctionne très bien ce qui est important pour prévoir les visites et les réservations de restaurants. Le panier de provision à l'arrivée était très apprécié.La cuisine comporte tous les éléments utiles pour cuisiner. Stunning location. Accommodation clean, comfortable and stylish. Only a couple of small snags no instructions for the music system which seemed to need a Walkman, there was also a Bose speaker - again we had no idea!! Also no DVD that we could find although one was in the list of equipment. We love it. Fantastic location. Well maintained cottage with excellent facilities. Excellent housekeeper. Beautiful garden, let down by very poor garden furniture - 4 cheap, uncomfortable chairs (tiny squab, open backs), and a tiny table which even 2 people cannot eat at comfortably, not up to the standard of an otherwise exceptional property. The main bedroom needs a mirror-there's plenty of room on an otherwise blank wall. It's a shame that the interesting charts and maps which used to be on the walls in the Observation Room (still shown in the current brochure and website photos) are no longer there. They were a feature of the room and added interest and character. Einmalig, fantastisch, ganz was besonderes!! Loved the scenery and the wildlife. The cottage was immaculate with every facility there to make your stay even more comfortable . Wonderful location. Superb 6 mile walk around the headland. The night time foghorn was interesting but the earplugs saved us! Comfortable, cosy cottage with good quality furnishings, bed linen etc and well equipped kitchen. Suggestions: A mirror in the master bedroom would have been useful and some lamps in the sitting room needed. Generous welcome pack. Great location. Amazing location. Property is nicer than pictures show. Beautiful remote cottage , everything you could need , including very much appreciated earplugs , warm and cosy, quality bedding , towels and crockery makes the stay so much nicer , wi fi was also good. The long steep path down is very dark in the winter months , would have been a lot easier if check in could be in day light hours . But a great stay and would go again tomorrow . A lovely cottage and excellent location. Leaving just 5 dishwasher tabs for a 5 night stay is mean and counterproductive, particularly when it says these are provided. We needed one per morning and evening so had to go shopping which was inconvenient. I am surprised others just don’t leave dirty dishes! The cottage was lovely, well furnished and everything was in good working order. Would have been nice to have a lamp in the front room however brought candles so we were able to soften it a little. Had everything we needed for a home from home experience. Whilst we wanted to experience a storm , we weren't quite expecting the foghorn! We did get used to it although couldn't have coped for longer than a day. Very steep path to carry luggage to and from. We loved the Roseland area and the location of Sally Port Cottage directly on the South-West Coast path was perfect for walking and access to the Fal ferries as well as further visits to Helligan and the Eden project. The lighthouse cottage was in an amazing location and for the most part it was very well furnished and comfortable.The excellent welcome hamper including scones, jam and clotted cream was a lovely surprise. - Access instructions are not clear. We arrived in the pouring rain and did not want to get soaked finding the right path. Parking is in a National Trust car park with pay and display machines and a sign saying the gate is shut at sunset. We had to call Lesley, the housekeeper, who wasn't aware that the car park had ever been closed and said that there was no need to pay. Why not state this in the instructions? The path to the cottage is behind the information board as stated but there are two paths. The one on the left signed "Coast Path, Place, Battery and Observation Hide" goes down quite steeply with several steps, the one on the right "Wheelchair Accessible" is on the level but meets up further down with the other path and much easier with wheeled luggage. You then have to ignore the turning to the left to the "Battery and Observation Hide" and carry on downwards towards the Coast Path. Once at the bottom (it is very steep and slippery when wet), the Coast Path is to the right (signed) and the Lighthouse to the left with no sign at all. - The Lounge furniture has been recently changed. It is very comfortable but the lighting is terrible as the lamp has been removed. It is impossible to read books in the evening or look at maps. - the kitchen is well equipped but the knives were very blunt and there is no draining rack. Not everything goes in the dishwasher. - Although this cottage is advertised as having wifi, neither the wifi nor the telephone provided for local and emergency calls were working. We could just about get a mobile phone signal by the lounge window and also above the patio - when the rain stopped! Sally port cottage is simply divine. It is warm and cosy, very very clean with beautiful decor. Location is perfect for a get away from it all holiday. The foghorn sounded for about 36 hours continuously for us but it did not spoil our holiday in the slightest. The views across to Falmouth, watching the boats, yachts, ships and seals is wonderful. Idyllic situation, especially the observatory. When sunny, the garden runs it the observatory a close second. The house was very good and well appointed, however I did not find the ear plugs until the morning after the fog horn went off at 01.00. A nice addition would be reclining loungers in the patio area. Lovely location, very nice and clean and welcoming. We enjoyed the beach and walks along the coast. We were a party of 2 children and 1 adult and the cottage was the perfect size for us 3. I think it would be a squeeze for 5. Very child friendly. Loved the Welsh Lady marmalade! superb place, warm and welcoming, great hamper, would be useful if a couple of toilet rolls and handwash could also be left, but other than that we will be back. A wonderful stay at Stella, great accommodation, great views, great weather! The cottage was spotlessly clean and has everything you could need and more. The walks along the cliffs and beaches are stunning. Well done Rural Retreats, we would highly recommend! Fantastic. Brilliant location. Spotless cottage. Welcome basket was lovely. Everything was clean and as expected. The shower is amazing! Great site with clean, large, modern rooms. Very well equipped and comfortable beds. Only downside was no wifi. Fantastic location, great welcome pack, well maintained and really clean, well equipped. Exceptionnel ! Le lieu est magique ! l'équipement du cottage incroyable ! La literie parfaite ! franchement y a rien à redire. A noter : pas de wifi, mais ça fait du bien d'être déconnecté quelques jours ! Refurbed in 2018 - so they've obviously listened to feedback. Now has minimal furnishing (but enough) but real quality fittings and furnishing. (Love the 'Rain-Shower'). Stunning setting, no Wifi and poor Mobile but that makes it even better for a get away. Watch the Fulmar's gliding over the cliffs and chillllll. Stunning location, wonderful cottage. Clean, welcoming and comfortable. High standard accommodation and cleanliness that mirrored the brochure. Christmas decorations made us feel very festive with arrival on Christmas Eve and kitchen well equipped for cooking Christmas dinner. Everything was brilliant. The communication, location, accommodation and the welcome pack. We were very happy. Everything was perfect, an incredible first Rural Retreats experience! The accommodation was superb! Very spacious cottage - very minimally but tastefully furnished. Very light and airy with large windows - but also oh so cosy - even with the fury of storm Bryan blowing around us!!! Wonderful romantic location, splendid isolation but with quite a few delightful hostelries etc close by. Can't recommend it enough. Very atmospheric weekend, I wish we could have stayed at least a week. Magical place, great views with lovely people everywhere around. We would highly recommend! Bath room and kitchen in need of being updated. lovely location. Everything was lovely and would go again. But, for me as i needed to work, internet would of been perfect. I knew when i booked it that there was none, but that part of Wales was a black hole for phone signals too. Lovely position. Great for a peaceful break! Great place. We went there with a person with learning difficulties who find difficult to be surrounded by others and he really like it. Amazing view with and sprinkle clean rooms. Helpful welcome pack with bread, butter, marmalade , etc . We were traveling from Brighton so that was really handy to have a little snack on arrival before heading to the shops. I highly recommend to anyone who would like to find a peace and quiet in our busy life. Thank you. A fabulous house, in an excellent location. A lovely house in a beautiful location. Perfect for a family break with different age groups. The enclosed garden is ideal and safe for young children. High end furnishings, comfortable beds and well appointed kitchen and bathrooms. The Welcome Hamper is generous and extremely 'welcoming'! Our only negatives were that there were not enough tumblers/glasses or rubbish sacks and the sacks we had were not strong enough. It was a shame that the rubbish was not collected on the designated day - not nice for incoming guests. A couple of comfortable outdoor chairs would be an added extra! The interior decoration is beautiful, it has all the necessities, it was very clean. The location is stunning. Every morning we were woken by three peregrin falcons who were flying by. We had one day of only rain and the cottage was so comfortable to stay inside for a whole day. The heaters in the bathrooms were nice then. After that first day we had beautiful weather and could have breakfast outside. We walked in de Durlston Country park, really beautiful. Saw a dolphin! Had dinner on the terrace at Seventhwave (the visitor centre cafe in the castle). So much to visit in the area: Lulworth Cove is a must see. My husband and daughter really loved the coasteering! Corfe Castle is nice. We went to the yearly Shakespeare play on Brownsea Island, which was a really nice experience, especially the boat ride and the picnic before the play started. We really recommend this beautiful cottage! Lovely to return to Rowena cottage - a great place to stay with fantastic views and lovely walks around Durleston country park. Weather hot but with a cooling sea breeze. However, we did feel that RR standards weren't as good as in the past - no flowers on arrival, guest towels were small ( or we've grown fatter! ), no flannels and only one set of toiletries per bathroom rather than per guest as previously. Also there were only two large glasses and two small tumblers in the kitchen whilst there were at least a dozen wine glasses ( not sure if this was because the previous occupants had hired both cottages for a 60th party and stuff had got mixed up) this wasn't very good for a cottage that sleeps five particularly in the hot weather! Much of the crockery/cutlery needed washing before using too. Would just like to comment that more bin bags would have been apprecited especially the clear recycling ones. As the water is not drinkable you are given generous amounts of water but all come in plastic bottles, so one recycle bag was filled within a few days and we could not find anymore so had to use the general waste black bags. Outstanding location - right on the sea and very quiet. Very clean and comfortable - has everything you need. Only downsides are that it's quite pricey but it's fitting for a special occasion. Also, due to the nature of the building the tap water is not drinkable (fine for washing). Plastic bottled water provided but it feels a shame to use so much plastic. Excellent location for a truly relaxing holiday. Cannot fault cottage. We had a lovely relaxing holiday, in a beautiful cottage and fabulous location. Great place for clifftop wildlife and very well appointed. You need to be a confident driver for the access road as there are few passing points but as no one except those in the other lighthouse keepers cottage use it reversing is less likely. Cottage beautifully furnished and comfortable. Rural Retreats super efficient with all booking details. Housekeeper very helpful when we contacted her. Great rental experience. Beautifully located and decorated cottage. Well equipped, spotlessly clean and a great base for a short stay. Wonderful position. Beautifully quiet and peaceful. Tasteful, practical and well appointed. A real rural retreat. We cannot wait to return. The location was outstanding and the quality of the accommodation was top grade and very comfortable. Cottage generally well presented, warm upon arrival and comfortable. Welcome Pack comprehensive, with local produce and fresh fruit. A relaxing bolt-hole in bad weather and close to pleasant walks on finer days. Flaws are only minor: if there are 5 guests, shouldn't there be hooks for 5 wet coats in the hall? Both frying pans have lost their non-stick and are in need of replacement. No sensible chopping/bread board in the kitchen, glass surface protectors aren't comfortable to use for that purpose.